Read our helpful guide to second hand Ferrari California. AA Cars works closely with thousands of UK used car dealers to bring you one of the largest selections of Ferrari California cars on the market. You can also browse Ferrari dealers to find a second hand car close to you today. 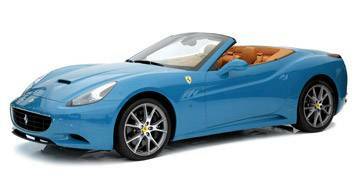 All used Ferrari California on the AA Cars website come with free 12 months breakdown cover. The entry-level model, and most affordable Ferrari in the Italian's range, the California is a stylish, 2+2, two door, convertible GT. Like any Ferrari it is seriously impressive on the road, and handles with precision and sophistication, but good refinement makes it an excellent cruiser, too. A direct-injection 4.3 litre V8 along with a seven speed, double clutch gearbox provides serious performance, but compared to its bigger and bolder siblings it is slightly sedate. Looks-wise it again doesn't quite compete with the 458, but costing substantially less, and offering nearly as much excitement, it is a supremely desirable and enjoyable option.